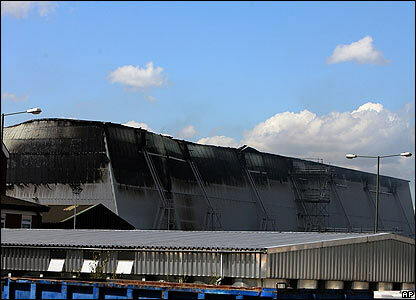 The James Bond stage at Pinewood Studios in Iver Heath, Buckinghamshire was destroyed by fire at the weekend. 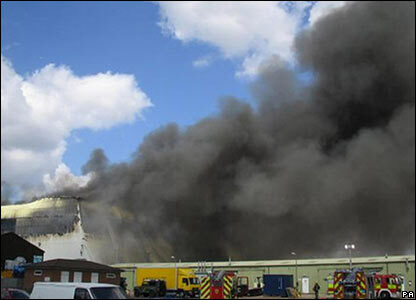 At least eight fire engines tackled the blaze. 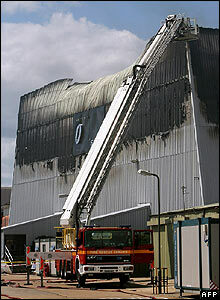 No filming was taking place at the time of the incident. 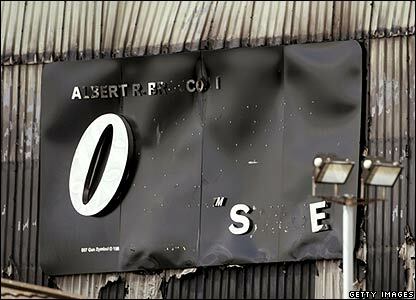 The famous soundstage, named after Bond producer Albert R Broccoli, had previously been destroyed by fire in 1984. 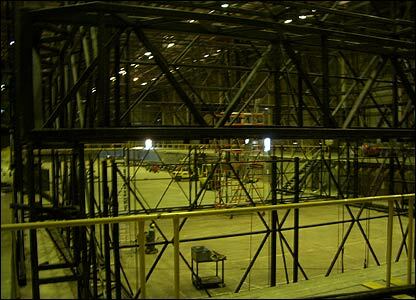 The stage had been housing a replica Venice set built for the latest Bond film, Casino Royale. 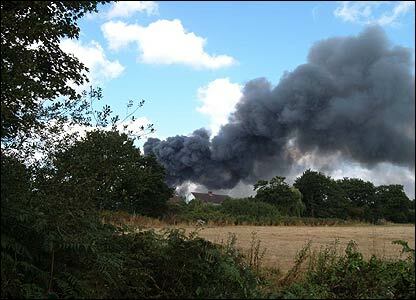 Paula Hill from Uxbridge sent in this photo of the billowing smoke, taken at 1230 BST on Sunday. 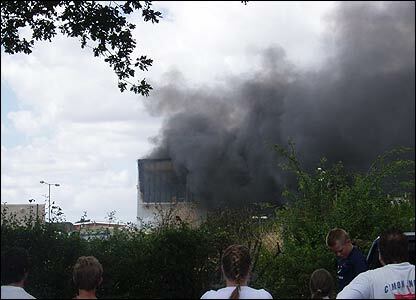 Black plumes engulfed the surrounding area as firemen battled to control the blaze. 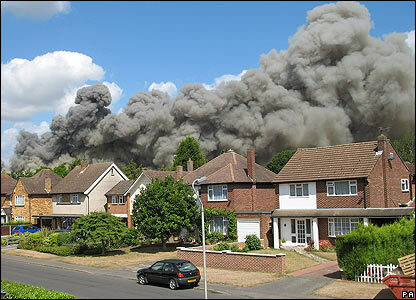 Reader Kevin Griggs took this dramatic picture from the rear of his garden. 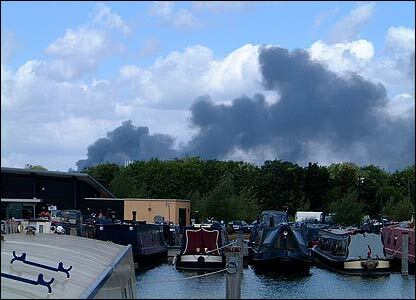 Reader Ian Strickland took this shot on Sunday morning from the Packet Boat Marina on the Grand Union Canal. 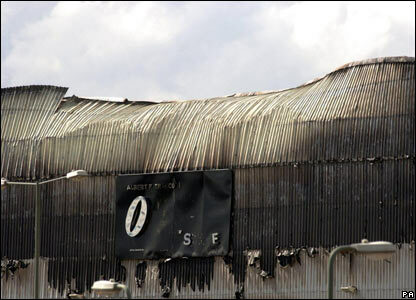 Another reader sent in this photo of what the inside of the massive soundstage looked like before the fire. The original stage was first created in the late 1970s for the filming of The Spy Who Loved Me.